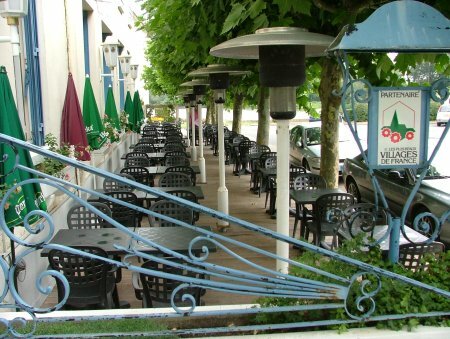 Discover the magical village of La Roche Guyon, only ten minutes from Giverny and Claude Monet's gardens. 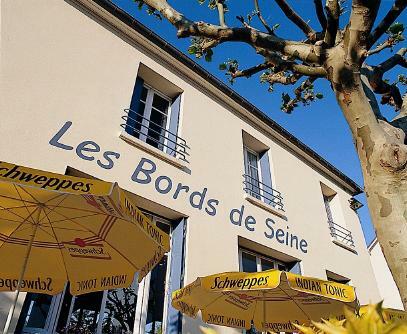 The hotel 'Les Bords de Seine' is located on the Seine's banks right in the heart of one of France's most beautiful village. In a preserved setting, walk under the lime blossom trees along the Seine river, discover the narrow streets of the village, the old covered market, and, of course, the magnificent Castle where you'll even be able to climb up to the donjon through a troglodyte staircase. Vetheuil, just a few miles away, hosted Claude Monet and his family during many years. There, the painter lived his darkest years when his wife Camille Doncieux died. She is burried in the little graveyard overhanging the church. The Hotel « Les Bords de Seine » has 14 bedrooms. 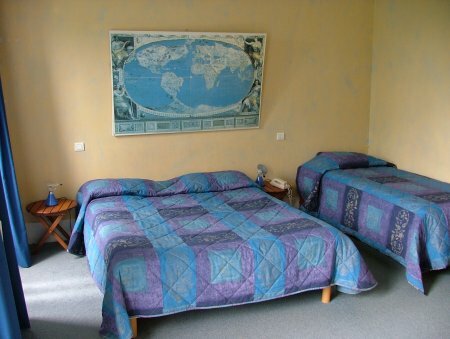 2010 Room prices range from 47 to 66 euros for 2 persons. Overnight tax: 0,46 € per person and per night. Each room has its own shower or bathroom. Direct phone, WIFI and TV. In the restaurant, you'll be having lunch or diner in a relaxing atmosphere, overviewing the river and the beautiful shalk cliffs. 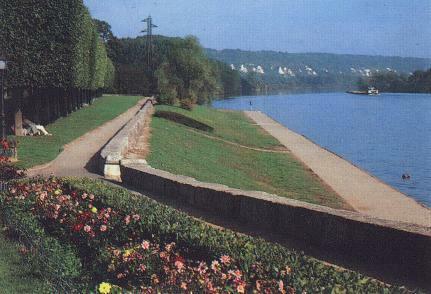 In 2010, Les Bords de Seine chef will cook a traditional French cuisine. As soon as the sun shines, how pleasant to just laze off the wooden terrase of Les Bords de Seine. Heaters when it gets chilly, parasols when sunny. Inside, a pretty lounge will host you for a drink. Finally, to organize a family party or a group lunch, try our large banquet.